This recipe comes in two parts, with the first an easy to make a Bolognese Ragù which tastes good but is not really exciting or flavour-packed like we like. When created into a lasagne, however, it really sings with a perfect balance of flavour. The recipe takes a while, but is actually quite easy, especially if you make the ragù the day before. We made two lasagne this time which served eight people over two days amply. Alternately, make a big tray of it for a larger crowd. Put a large ovenproof casserole on a medium heat and heat the olive oil. Tip in the onion, garlic, celery and leek. Season with salt and pepper and cook for 8-10 minutes or until softened. Turn the heat to high, add the meat and stir to break up, cooking until there are no longer any pink bits. Add the bay leaf with the chopped tomatoes, tomato purée, wine and sugar, and bring to the boil. Cover with a lid and cook for about 1 hour in the oven. Season to taste. First make the cheese sauce. Melt the butter in a saucepan over a medium heat, then whisk in the flour and cook, stirring often, for 1 minute. Gradually pour in the milk and bring to the boil, whisking continuously until the sauce is thickened. Remove from the heat and whisk in the cheese and mustard, seasoning with salt and pepper, then set aside. 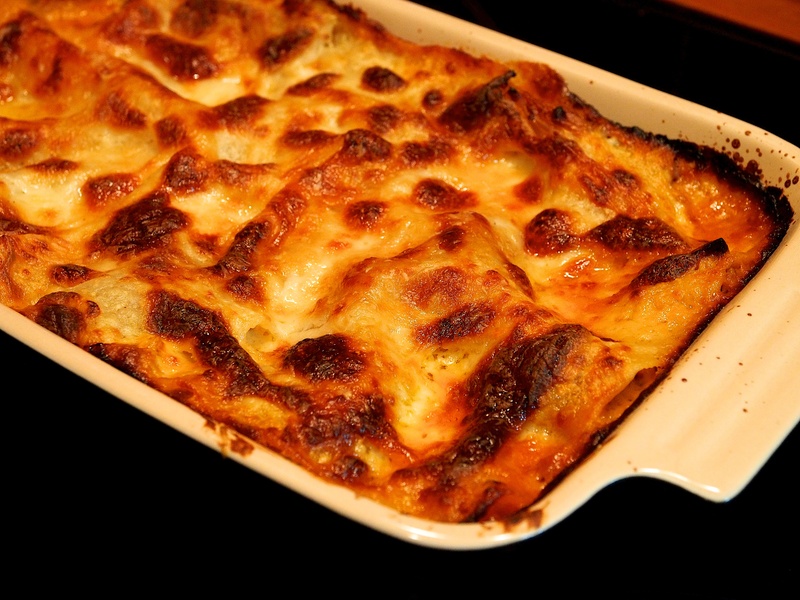 Put a thin layer of ragù in the bottom of an ovenproof dish (20 x 30cm), cover with a layer of the cheese sauce, then add lasagne sheets to cover, in a single layer. Repeat this process, finishing with a layer of pasta topped with cheese sauce only. Sprinkle over both cheeses and bake in the oven for 45-50 minutes or until golden brown and bubbling.